One of the boldest ventures in Tokyo's craft beer boom, this spacious, chrome-and-concrete bar occupies a prime slice of real estate just across the street from the Bunkamura in central Shibuya. 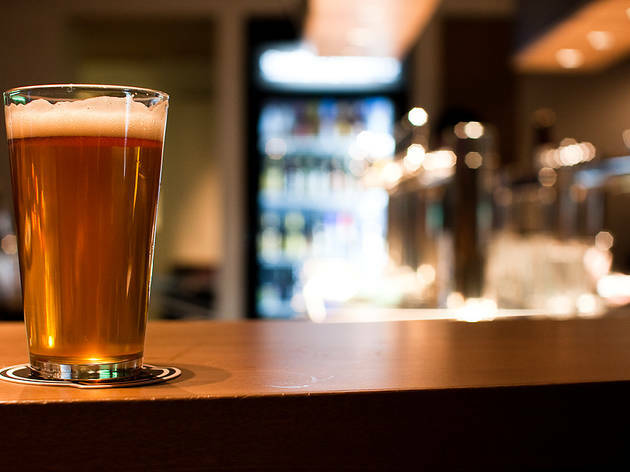 It's the work of Teruya Hori, a major player in the craft beer scene who runs online retailer Goodbeer and also built the bar's state-of-the-art tap system. 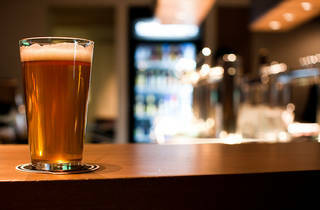 With over 40 craft beers on draught – predominantly Japanese and American microbrews – Goodbeer Faucets has one of the largest selections in the capital, and the calibre of the menu has improved a lot since it first opened. Keep an eye on their Twitter account if you want to catch some of the more unusual offerings, as they tend to go quickly. Pints cost ¥200 less during happy hour (Mon-Thu 4pm-8pm; Sun 3pm-8pm), and the food menu is also worth investigating.